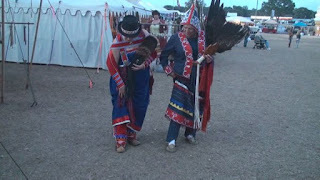 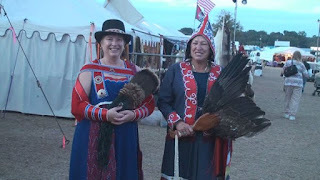 We set up and cooked for Boomer's Pow Wow over New Years held at Webster Florida and we had a wonderful time but better yet, I got to catch up with a Northern Cousin of Mine, Lorraine, from Canada. 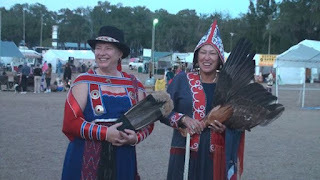 Lorraine is Micmac, a closely related tribe to the Ojibway, which are my relatives. Both of our dresses are from a design over two hundred years old. 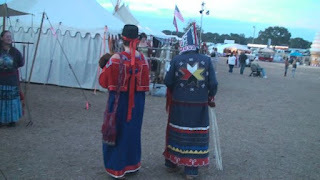 We both hand sewed, ribboned and beaded our respective garments. 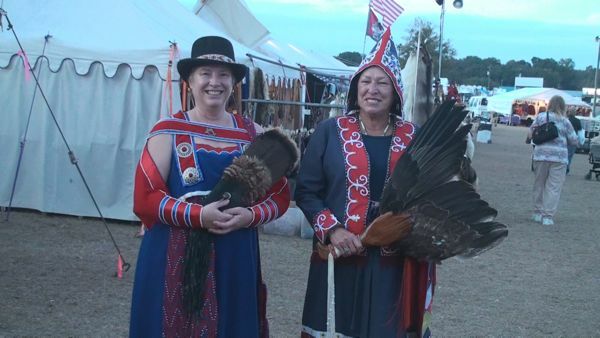 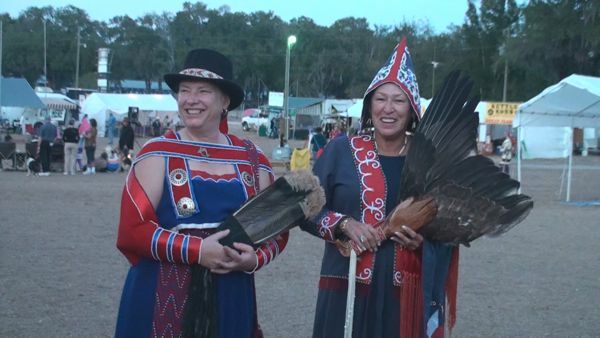 We both have Historic Traditional Regalia so we just had to get together and pose for some pictures together, we found it a wonderful irony that we are both from the great North, but actually met in Florida!